Over 35,000 sq. ft Banquet and Conference Center with a capacity of up to 1,000 people. 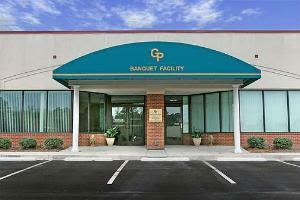 This is the largest and most central privately-owned Facility located in the heart of the Triangle. It has four ballrooms and various meeting rooms and expo hall to facilitate a variety of Events. Some of the Events done in the past include Weddings, Receptions, Reunions, Anniversaries, Birthday, Conferences, Seminars, Trade shows, Expositions, Holiday parties, Comedy shows, Dinner & Dance shows, Award ceremonies, Fund raisers, Licensing Exams, Religious and Cultural programs of all ethnicities. It is approximately 5 minutes from the RDU International Airport and is 15 minutes from major cities in the Triangle area.